This is the ring that dreams are made of a lovely diamond solitaire ring with 6 prongs that give the illusion of a floral design. What a sophisticated style to secure your partner's hand. Feminine and lovely, this ring has ''I can't believe it written all over it. This sparkling 0.16 CT Round Diamond Solitaire Engagement Ring is bound to capture her hand. 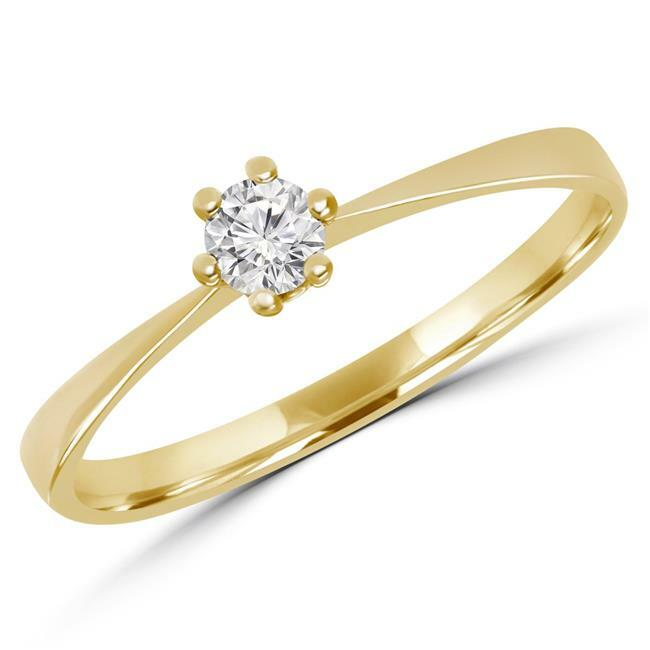 Crafted in lustrous 10K yellow gold, this diamond ring features an elegant 6-prong setting. The shimmering round diamond at the center has a G-H color rating and VS2-SI1 clarity. A dazzling ring that she'll cherish always.